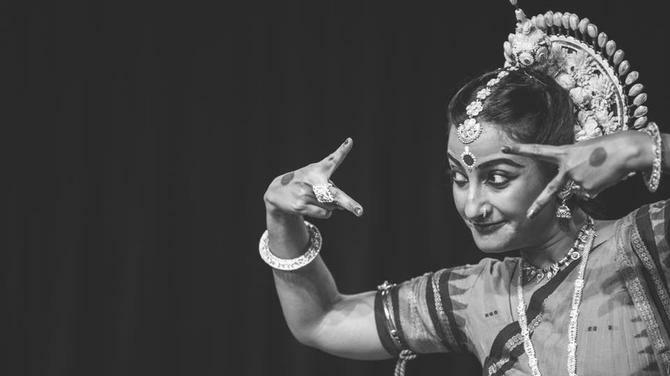 Kathak lovers should be excited about the fact that Dance India Asia Pacific has brought in a leading legend of the art form all the way from Ahmedabad to Singapore. 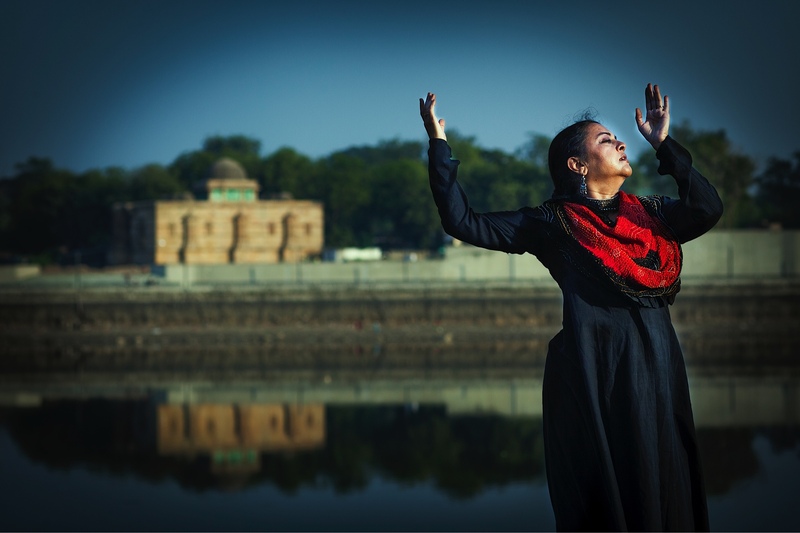 Vaishali Trivedi is a solo Kathak dancer, singer, choreographer and a teacher. 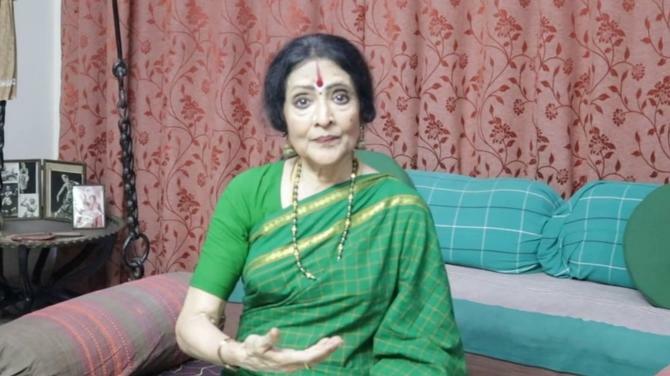 Based in Ahmedabad, Vaishali studied Kathak, under Padmabhushan Smt. 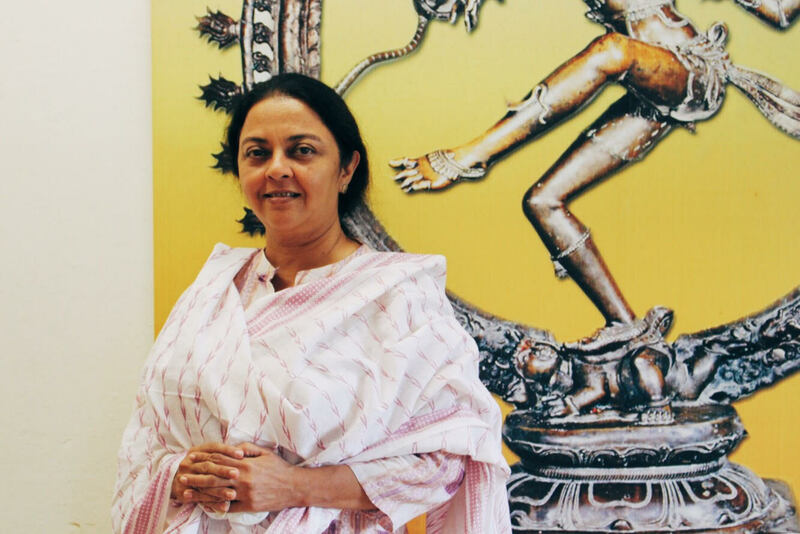 Kumudini Lakhia, India’s acclaimed kathak dancer and choreographer. She has performed extensively in more than 50 countries, in many theatres, festivals and events worldwide. Vaishali has also worked with the great sitar maestro Pt. Ravi Shankar in his musical theatre ‘Ghanshayam’ and also with Pt. Birju Maharaj in the Festival of India in Germany. Trivedi was awarded Gujarat Sangeet Natak Akademi award ‘ Gaurav Puraskar ‘ in the year 2010. In the year 2005 she was awarded the Fulbright Fellowship in Arts, USA. The Kathak Core Programme taught by Trivedi at Dance India Asia Pacific 2017, is catered for dancers with 4-5 years of previous training and are currently pursuing their formal training. She will also be performing a show, titled, ‘Antarang’ at the Siglap South IAEC on Friday, 23 June from 7:30 pm - 9:00 pm, Siglap CC. Tickets for the show can be bought at the event for S$10. 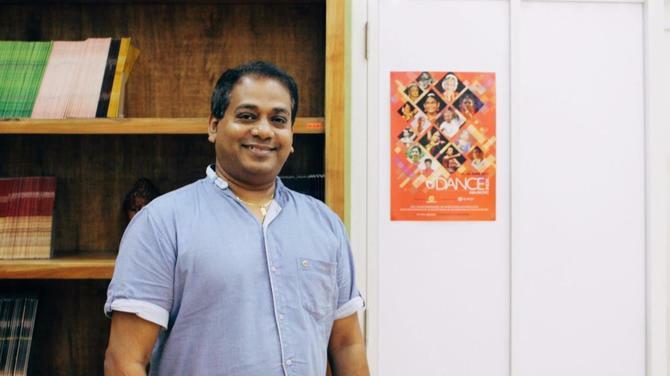 Connected to India (CtoI) swung by the Apsaras Arts studios at Goodman Arts Centre during weekday lunchtime to have a chat with Trivedi to understand more about how the training is going on. She also shared with us some very valuable views on the art form based on her years of experience. 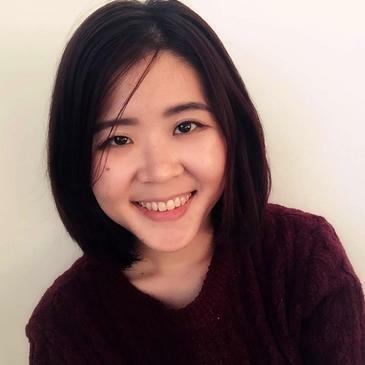 CtoI: How is it going for you in Singapore? 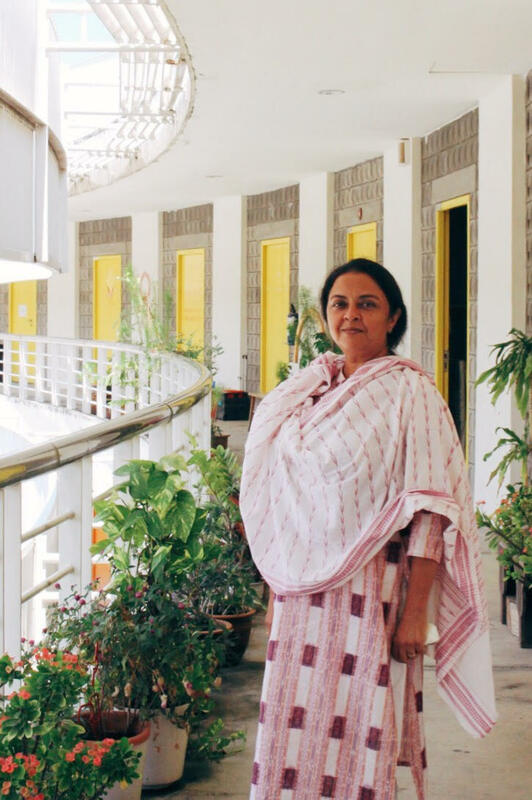 Vaishali Trivedi: It has been a wonderful and exciting experience for us. The participants displayed amazing commitment to their art, and even if you push them a little harder during training, they are willing to go through it. They have been showing us 100 percent positivity, which is really very encouraging. It really makes you feel like giving them more and more. The second interesting thing is meeting all the colleagues, because back in India, we live in our own separate regions and in our circles. We only meet during festivals, perhaps once every three to five years. Most of the time, we are also busy performing, so we rarely get the opportunity to sit back and have a leisurely cup of coffee at the end of the day and just chat. So this get-together was a great chance for us to learn what is going on in other forms of the same art, and we get inspiration from each other, which is really sweet. CtoI: So are you saying that although these artists were from India, but you don’t get a chance to meet them when you were in India in the leisurely way, that is happening now? Vaishali Trivedi: Exactly, because somebody is in Chennai, another person is in Amritsar, while I am in Ahmedabad, and so on. Another reason is because we are in different styles of dance, so those who are in the same style tend have more interactions. So it has been really nice to be able to see everyone here. CtoI: How is Dance India different from the other dance performances you have gone for? Vaishali Trivedi: First of all, it is very professionally run. There is a very committed team of people who are great administrators, people who are involved in the arts scene… and luckily they are not artists, so they have a very non-biased attitude for every form of art. There were no favouritism displayed. The whole aim of Dance India is to promote this art into the particular countries, to bring people together so that we don’t forget this lovely heritage. This very hardworking team has really made sure to bring the best from each field to educate the students who are taking part in Dance India, so I think they are doing a wonderful job. I once asked, “why can’t we do something like that in India itself?” A senior artist replied, “I don’t think anyone would come.” You know, it is so different with the diaspora. They are very keen to learn. To them, it is a privilege, and you can see their sincerity and gratitude in their eyes. It is also displayed the amount of time and energy they give it to us. So I think it is very great initiative and I hope it goes on like this. CtoI: You are very humble. I am sure people welcome the opportunity to get to learn from you. Vaishali Trivedi: I think one very valuable thing the students get to experience during their one week here (at Dance India Asia Pacific), is that they get to watch other artists. This is very important because you cannot practice art in isolation. If you want to become an artist you have to see other artists. If you are in India and have to see Padma Subrahmanyamji, Kumudini Lakhiaji or Pandit Birju Maharaj, it is going to be impossible. You will have to take many flights. But in Singapore, they are all here for you, so I think this is very good opportunity. If I were younger I would definitely have joined one of these workshops as a student, you know. If the students are willing to learn, this (Dance India Asia Pacific) is a very eye-opening experience. CtoI: Give us a picture of what happens at your workshop. How many students did you have, how did you engage with them, and how long is it? Vaishali Trivedi: I have 12 students, and they are of intermediate level, which means they already have a lot of kathak in their repertoire. For the past 15 years, I have been grooming professional dancers. That was my job. So I have a particular of looking at things, and there are specific things that I look out for and point out to the students to help them enhance their art. So in my training, I focus on these specific things to help my students understand kathak better. Sometimes, arts can be a very intimidating thing, so I think we want to give them a bridge. Or rather, we ourselves are the bridge where we say, “come, meet this wonderful art through us, and it is not going to be as difficult as you imagined.” With the experience that we have, we can help them get come closer to their art; and that is the whole aim. There are two aspects of most of the Indian classical forms – one is the Abhinaya (drama) and the other is the technique. In both, we have to introduce them in our own styles, because each artist is very different. The individual student may have learned it from someone else before, and the previous teacher may have approached it in a very different way from me. In that case, this workshop will enable them to look at the same thing from the perspective of another artist, and give them an idea of how to approach art. 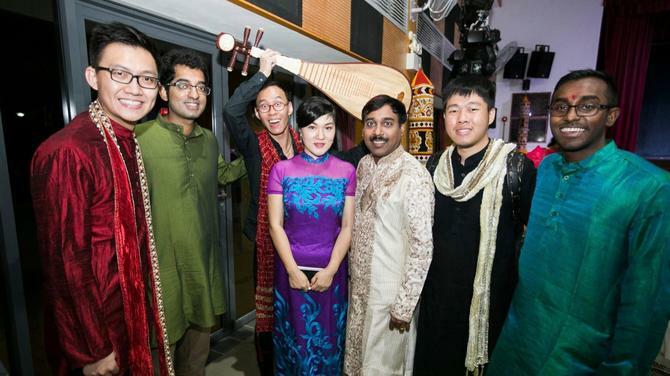 CtoI: With what you have seen of the practitioners in Singapore, do you think they are on the right track? What is the level of craftsmanship that you have noticed? Vaishali Trivedi: I have seen some performances of students from different schools of dance. Even in kathak there are different schools of dance, you see, there is Lucknow and Jaipur so the body language of each form is different. The approach also varies slightly. But here in Singapore, I feel that generally, at least in my workshop, the students are really very organised. They are proficient in their art. They are skilled. Their basics and their understanding of the dance are very nice. In the UK, the standard is even more advanced, and many of the participants of Dance India UK are professional dancers. CtoI: In your opinion, how important is it to learn music when it comes to learning dance? How much do you think it helps? Vaishali Trivedi: There are three things about any good dancer. First is grace, second is rhythm, and the third is the eyes. Now, Bhava (expression) and rhythm comes because you understand music, and some people are blessed with good ears naturally. In addition, perhaps they have a good environment at home, in which they listen to more complex music besides the popular ones. That complexity of music adds to their dance expressions, because they are more sensitive to the time changes. CtoI: What advice would you give young kathak dancers? 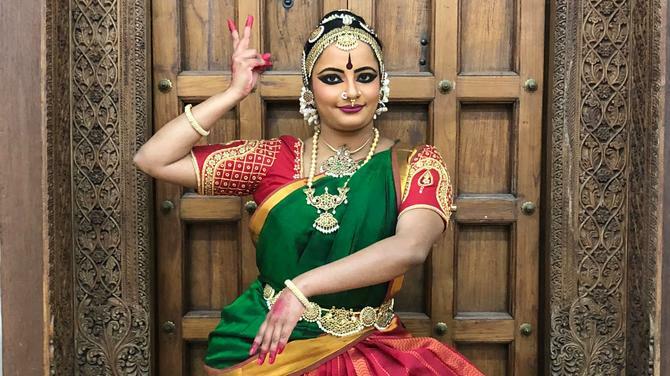 Vaishali Trivedi: Of course, if you really want to be a professional dancer, you need to be to put in longtime commitment. Going to a dance class once a week is not enough for you to turn professional. With the level of dedication other dancers are putting in, you really need to work hard to match up to it. This means putting in at least four hours a day for a few years. Artists would all know that they have to go through that rigour. There is no two ways about it. CtoI: My last question – tell us a bit about your experiences about working with maestros of Indian dance and music. Vaishali Trivedi: I have worked with Pandit Ravi Shankar when I was much much younger, and I think it was one of the most cherished time we had. He was a man full of love. Also, these maestros are so confident – they really had nothing to prove, and so in a way they are so humble. When you are with these people, you would realise they do take care of you. Therefore, I think the most important lesson I have learned from them, is their human qualities. Of course, they are geniuses, but that is not something you can replicate; you can only get inspired by them. But the way they work, their sincerity towards the art, their humbleness, and their commitment to aesthetics, all these things… you know, are for the younger generation to continue. One more thing I would like to say is that, somehow I feel the younger generation do not understand the older generation. But I do stand by the belief that humbleness and the respect for the elder and the tradition is a must, if you ever want to learn Indian classical music. I mean, I don’t mind what you wear or what you like or what you eat. I also don’t mind whatever kind of lifestyle you choose to lead. However, Indian arts stick close to the land and its heritage, so I think that if you are looking to understand Indian art forms, humility and respect needs to be there. You can watch Vaishali Trivedi’s show ‘Antarang’ at the Siglap South IAEC on Friday, 23 June from 7:30 pm - 9:00 pm, Siglap CC. Tickets for the show can be bought at the event for SGDs 10.